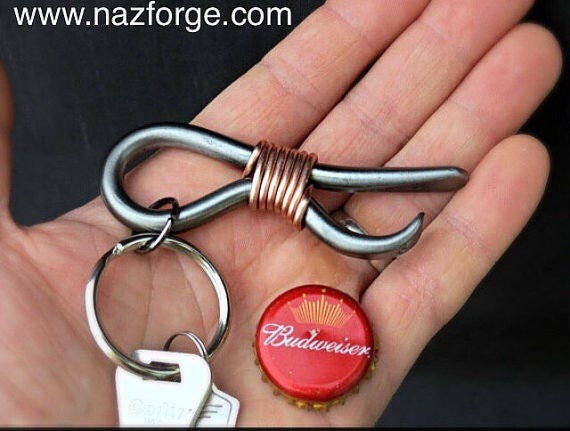 I love the mix of iron and copper's natural colors, this useful, fun item puts a lot of value on both of those materials. 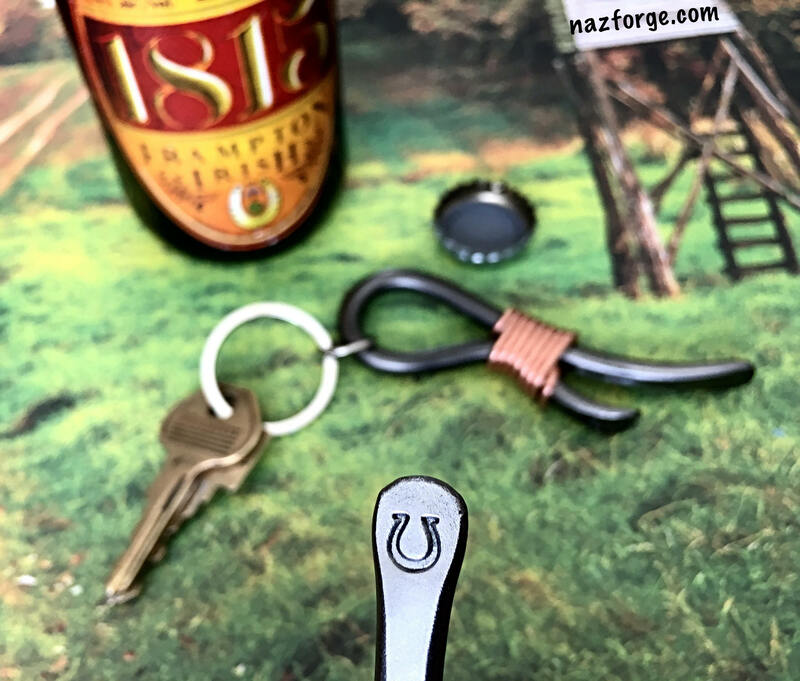 The iron section is forged out of 1/4" round stock and has been welded together at the touching point for extra strenght (this is so there is no "spring" effect) when opening your favorite beverage. 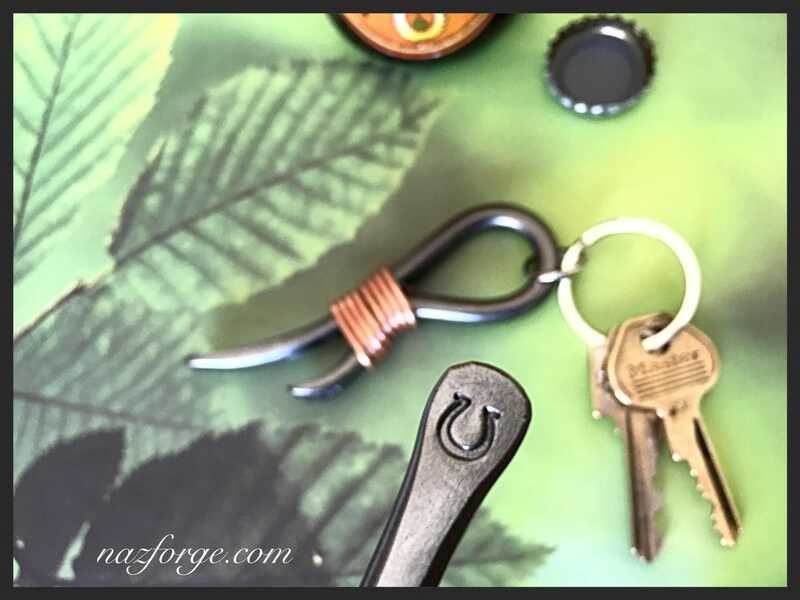 The weld is then hidden with the decorative copper wrap. 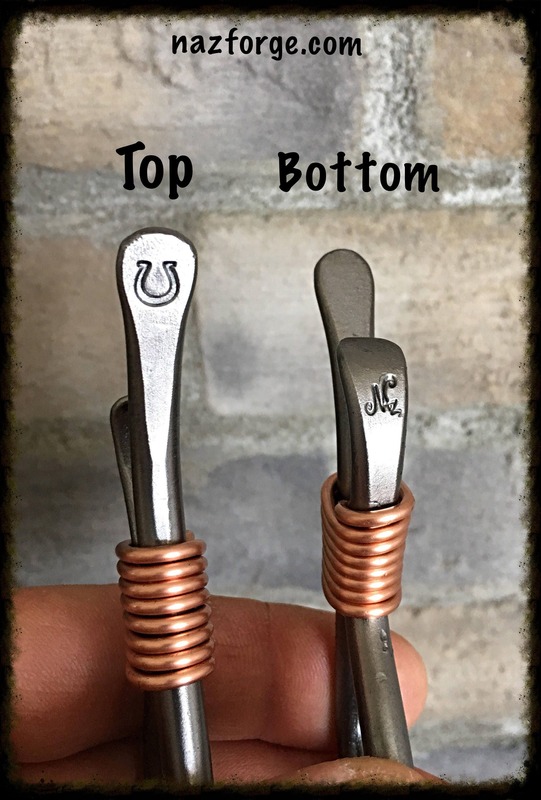 They will be surprised to see their initials, name, etc... stamped in the metal. 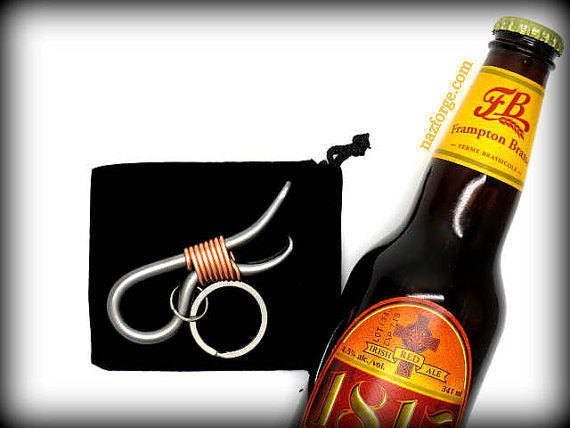 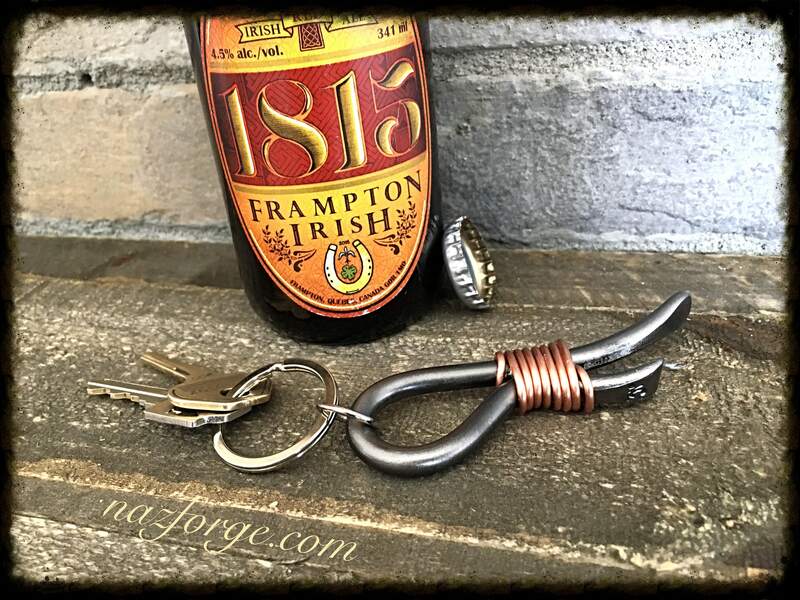 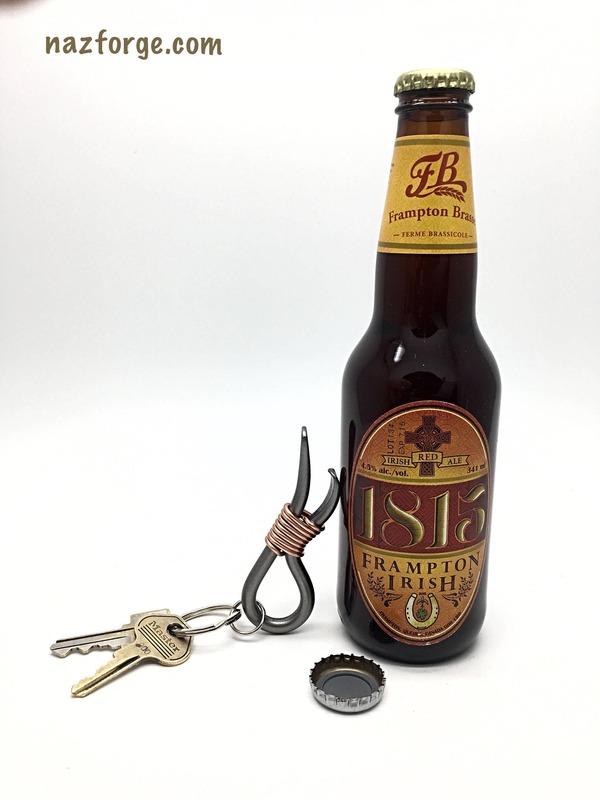 Total lenght of the keychain bottle opener is approximately 3 1/2" without the keyring. 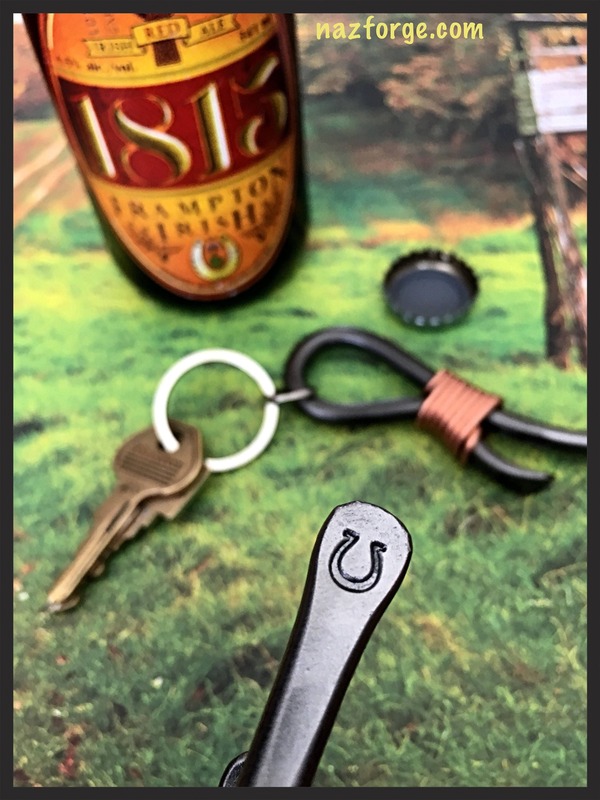 After cleaning, I clear coat the keychain opener for protection and to keep the raw iron look. 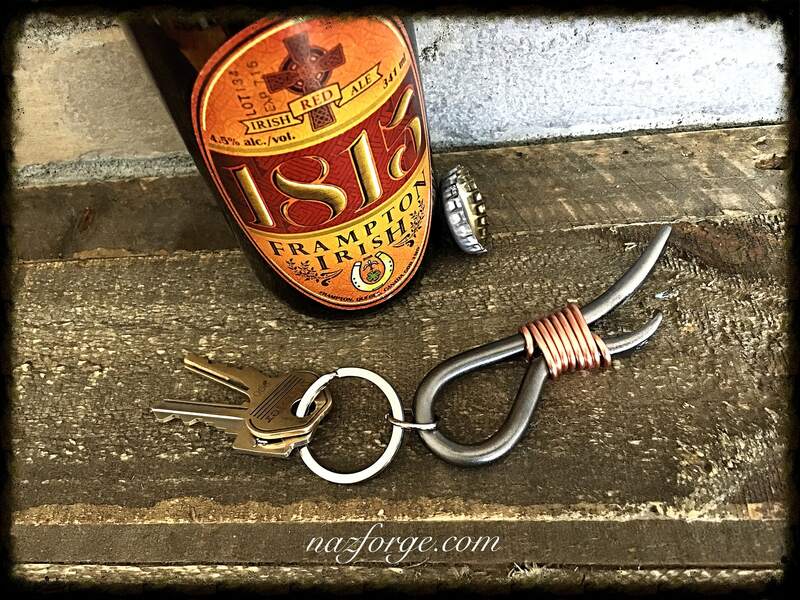 This is a hand made item that will last a lifetime !